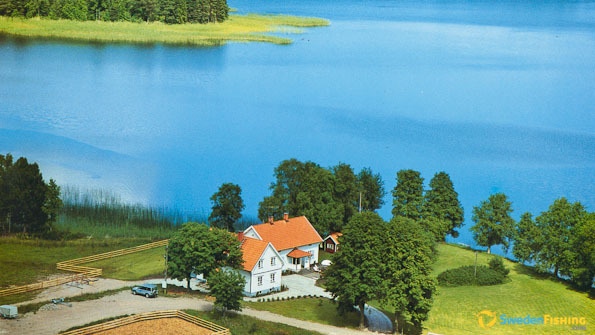 The Braxmaviken Gård estate is located where the 5 000 ha Lake Viken is at its loveliest. It is nature park for anglers seeking fishing experiences in natural waters; the family with varied interests; the stressed European needing quiet; and a haven for the flora and fauna by the lake. It draws hunters, birdwatchers and golfers! There are cultural experiences of all sorts nearby, such as Göta Canal, Karlsborg Fortress, Tiveden National Park and Forsviks Foundry. At Braxmaviken we speak Swedish, English, German and French. The facility opens on May 15 and closes on October 20. Other times and events can be arranged at other times as well. Pike fishing is best during the spring and autumn; perch and pikeperch in the summer; and crayfish in August. Pikeperch may not be fished while spawning. Rent or borrow a bicycle, go to local stables nearby who offer horseback riding trips,rent a canoe from Braxmaviken Gård, encounter beaver, deer, moose/elk and many species of birds on a Nature and Wildlife walk, cruise along the Göta Canal on one of the historic ships, visit the famous industrial museum at Forsvik, and much more! Broadband in the farmhouse. 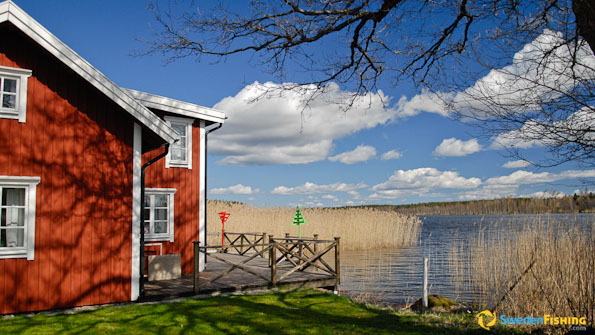 Deposition for boat  SEK 2000/ 200, for accommodations SEK 2000/ 200. Bedding and towels for hire. No sleeping bags. Unfortunately no pets allowed. Certified entrepreneur/facility. Accommodation rentals Sat-Sat, fishing information in rooms, as well as complete cleaning instructions. 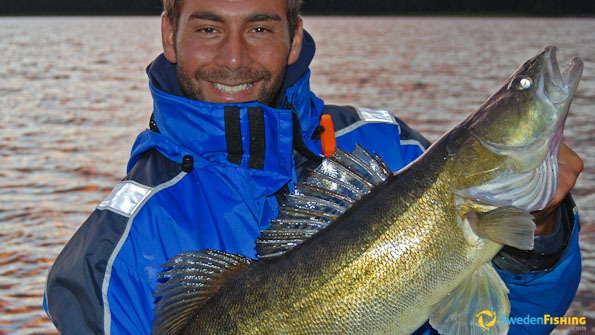 Pike, perch and pikeperch are our most commonly caught fish species. Viken is well known for its large sized pike and perch. For those who are interested in angling, there are rich quantities of bream and tench. Other species in the lake are roach, asp, zope, chub, ide, rudd, bleak, ruffe, burbot and eel. Within our grounds we also have a smaller lake with trout where fly fishing can be done. Fishing packages includes: boat & motor, oars, start-up fuel, depth chart, anchor, life jackets. 2 Linder 440 aluminium boats with 4-5 hp motors. 1 aluminium Canadian boat for 1-4 persons. Guide service available, petrol bought on site, fish finders & fishing licence available on site. Fishing shop nearby. Spin fishing and trolling in lake Viken. Summertime trolling and float trolling for lake pikeperch is an especially efficient way to experience good fishing. The rules of the fishing preservation area are obeyed. C&R applies for what is not eaten when on site. No fish may be frozen and brought back home. • The Boat House – app. 70 m2 with its own dock in the lake. Two excellent 4-person bedrooms. Open lounge facing the water, well-equipped kitchen with fridge/freezer, stove/oven and micro, dinette, shower/WC, parabola, outdoor grill with furniture on veranda, fish cleaning place and fire place. • The Groom´s House – app. 40 m2, app. 80 m from lake with a dock there. One bedroom with door to veranda with grill and outdoor furniture and a lounge with kitchen (fridge with freezer compartment, hotplate, micro), dinette, living room section, shower/WC and sleeping loft. 2.4 persons. • The Mainhouse Apartment – Guest flat in the farmhouse with a very well-equipped kitchen (fridge/freezer, ovens, dishwasher), dinette, glassed-in porch with table facing a terrace with outdoor furniture. The upper story holds three bedrooms for 4-5 persons and a hall/TV/living room with door to balcony. Shower/WC. The Braxmaviken Gård lies between lakes Vänern and Vättern along the Göta Canal. Nearby airports include Jönköping (1 hr), Göteborg (2 hrs), Nyköping (2 hrs) and Stockholm (3 hrs). The nearest X-2000 high-speed rail connection is in Skövde (50 km).